This is a Sponsored post written by me on behalf of Arm & Hammer Truly Radiant. All opinions are 100% mine. I’ll admit I haven’t been a huge smiler for a lot of my life. One reason is because I have a noticeable underbite, so if I do a full smile with both upper and lower teeth, it just looks weird. Luckily, in recent years, I have learned just how powerful a smile can be to change others, and even your own, day for the better. So, now I smile whenever I can, even if I only show my top teeth. Since smiling is so important, it is also very important to me to keep my smile looking as good as possible. That’s why I’m a big fan of Arm & Hammer Truly Radiant products! The Truly Radiant line has several products for cleaning, strengthening, and whitening for a more radiant smile. These include toothpaste, spinbrushes (like a toothbrush on steroids), and whitening booster. Can you believe that the Truly Radiant toothpaste removes 100% more surface stains than ordinary toothpaste?! 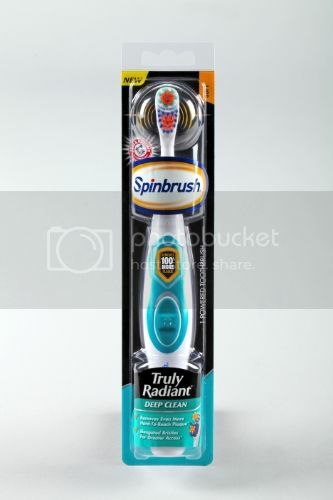 The Truly Radiant Spinbrushes also remove 100% more plaque than a manual toothbrush. I know that when I first used one, I was honestly totally amazed at just how much cleaner my teeth felt. The Truly Radiant Whitening Booster is even clinically proven to whiten teeth in just one week and contains 3 times more whitening agent than a leading white strip. 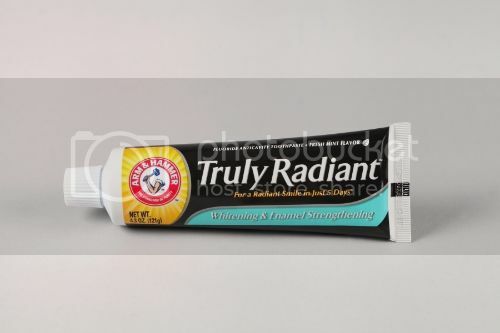 Arm & Hammer Truly Radiant products definitely leave you wanting to show off your radiant smile to everyone around you. Alison Sweeney (totally love her from my guilty pleasure Days of Our Lives! ), who is an actress, author and TV host has also teamed up with Arm & Hammer Truly Radiant. Check out her tips to bring out your inner radiance! Other than keeping your smile radiant, what are some ways you live a radiant life? I feel most radiant when I’m cooking for others and get people to smile and laugh.